John believes in and lives for transformational leadership. His experience as a venture capitalist, board director, senior executive, coach, company founder, writer, public speaker, teacher, philanthropist, son, husband, father and grandfather has helped unlock value for numerous individuals, teams and organizations. "There is unlimited power in the purpose which lies inside each of us," John says. "My purpose in life is to add value to others and to help them unlock the passion that exists inside." As a young teen, John's parents encouraged him to read and expand his horizons. One of his favorite's was the Chip Hilton Series, a collection of twenty-three (23) books, written by author and coach Claire Bee. Through his stories, Coach Bee entertains us with wonderful consistency while teaching about many values we all want to enjoy in our lives: Courage, Humility, Integrity, Passion, Honesty, Inspiration, Leadership, Teamwork, Optimism and Niceness. Through hard work and perseverance, John obtained his undergraduate degree from the University of Northwestern, St. Paul and his masters degree from the University of St. Thomas. John has been blessed to get to work for great companies like Honeywell, Alliant Techsystems and Mayo Clinic: all businesses that believed in leadership development and adding value! John co-founded Accuitive Medical Ventures in 2003, showing the entrepreneurial leadership ability to create, unlock and increase value for his business partners, his financial investors and for his family. In 2012, he founded CHIP Solutions in order to help people and organizations unleash their purpose and achieve their full potential. John’s successful career includes over 50 ventures investments, board service with over 20 companies, hiring of more than 15 senior executives, founders role in more than 20 companies and significant operating roles for various businesses. Real value has been created and unlocked via nine IPO’s and over twenty M&A transactions from his portfolio. This private equity portfolio continues to mature and numerous additional exits are anticipated in the next few years. 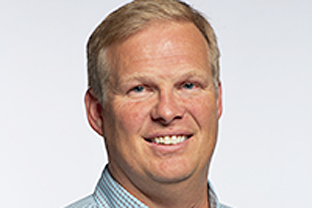 John currently serves on the boards of ActivOrtho, CHIP II, DyaMX, FourMation Medical and Fourth Element Capital. He has numerous non-profit connections with organizations and churches that serve others - Ironwood Springs Christian Ranch, GreatDeeds, Camp Victory, Harvest Bible Chapel Rochester, Athletes in Action, Tee It Up For The Troops, Folds of Honor and First Free Maplewood. John been invited to speak at numerous conferences, moderated and participated in various panels, has coached senior executives and other business professionals, and has led workshops and classes for leadership, marriage, parenting and other important topics. He specializes in facilitating or hosting personal/organizational coaching retreats which are used to refresh and renew the critical purpose driving those individuals or organizations. His fun and caring style helps with inspired learning and real life application. He excels at meeting people where they are through understanding his audience and sharing real life experiences. These relevant stories bring purpose to his talks. John's legacy is based on his faith, his family and his reputation of authenticity while adding value to others. "What would it be like to completely understand how to unleash your full potential and live with abundance?" he asks. "It has everything to do with believing you have found your true value, passion and purpose. Let's unlock this together!"